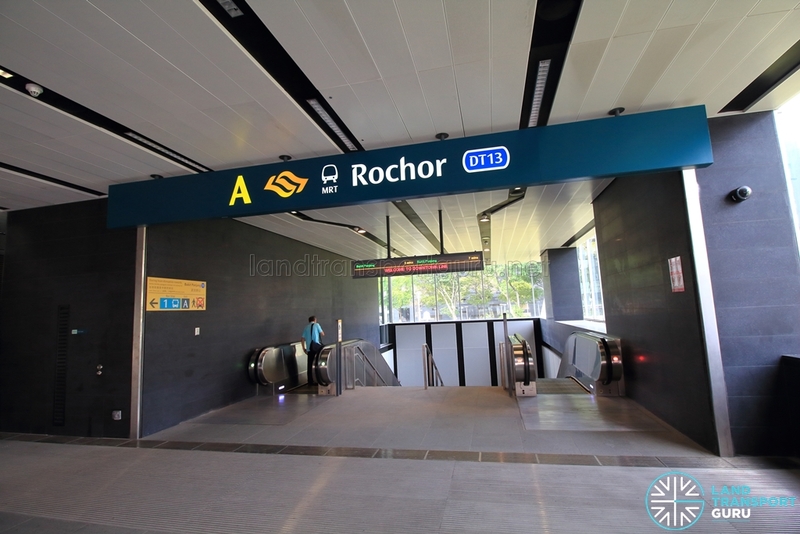 Rochor MRT Station (DT13) is an underground station along the Downtown Line (DTL) Stage 2, located at the boundaries of the Little India and Bencoolen planning subzones. It is built underneath Sungei Road and Rochor Canal Road, serving parts of the vibrant Bugis, Rochor and Little India district. 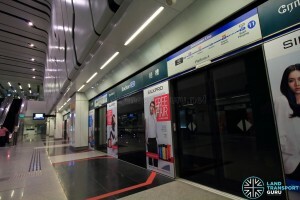 The station is located in the vicinity of shopping centres, office and retail mixed-use developments, preserved shophouses and LASALLE College of the Arts. Construction of the station involved significant engineering challenges to divert the Rochor Canal and building the station underneath the future North-South Expressway and Rochor Canal. 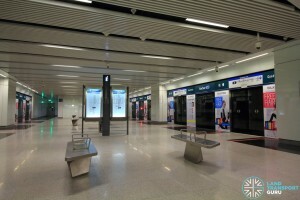 Rochor station has two platforms in an island platform arrangement, with both platforms utilized for trains travelling in either direction. 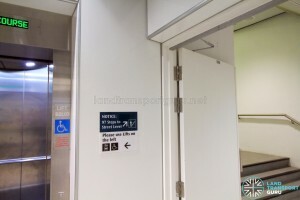 Full-height Platform screen doors isolate the air-conditioned station from the tunnel environment, enhancing commuter safety and station comfort. With the concourse level wrapping around the platform, the ceiling is two floors high at platform level, conveying a spacious feel. A set of escalators, stairs and lifts connect to the concourse above. 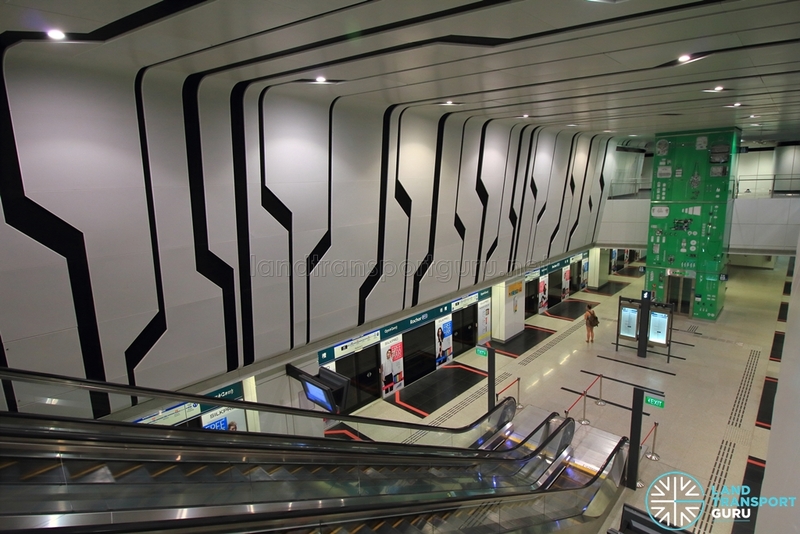 A public toilet is located in the unpaid area of the DTL concourse, opposite the passenger service centre. These local vintage objects, acquired from The Thieves’ Market, are featured deliberately in Tracing Memories to convey the impression of a motherboard. Executed in three styles of image making, from simple pencil drawing to monoprint and modern digital drawing, the artwork attempts to examine the binary reflections of what Singapore’s youths share, while living in a contemporary city: a fascination with technological advancement through the latest gadgets and gear, as well as sentimentality for history, tradition and memorabilia. 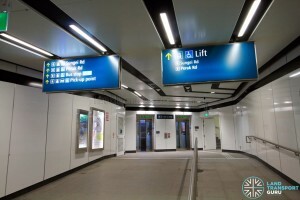 Rochor MRT station has two exits leading to ground level (A and B). 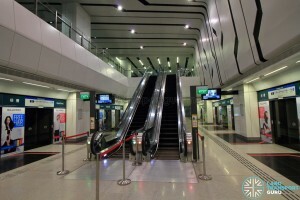 Exit A is the main exit with an lift and escalator network; Exit B is simply a pair of lifts leading to street level. A notice at both ends of Exit B’s staircase advises commuters to take the lifts instead of the stairs. Rochor station connects to two bus stops in the vicinity, as well as a taxi stand and passenger pick-up point. There are two official bus stops linked to Rochor station. 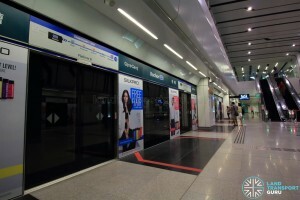 In addition, passengers can board regular bus services at bus stops officially linked to Rochor station for free rides. 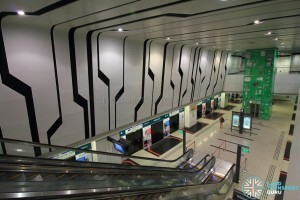 As a Central area station serving both commercial and civic districts, Rochor station encounters moderate demand levels from developments in the vicinity but does not encounter heavy demand owing to close proximity to Bugis and Little India interchange stations, which are the main stations serving the Bugis and Little India districts respectively. 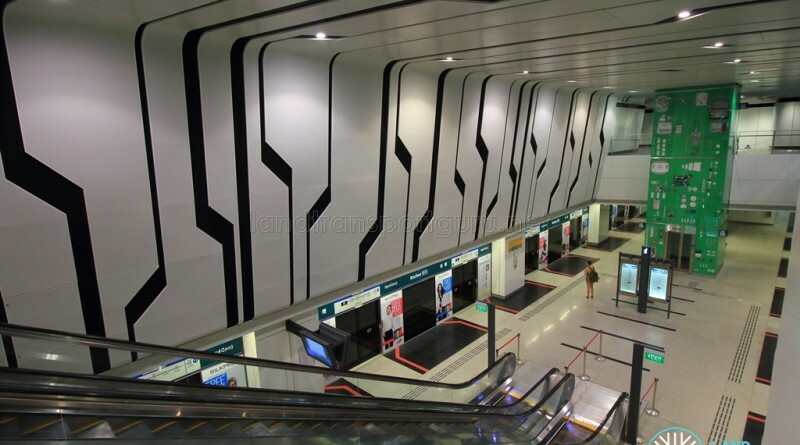 Downtown Line Stage 2 (DTL2) Contract 921 for the Design and Construction of Rochor and Little India stations and associated tunnels was awarded to South Korean company SsangYong Engineering & Construction Co., Ltd. for approximately S$803.3 million in Jun 2009. The construction of Rochor and Little India MRT stations presented the greatest engineering challenge of the entire Downtown Line. Construction involved over 30 stages of traffic and canal diversions, including the creation of temporary roads facilitate construction works and minimise traffic disruptions in Rochor. At $803 million, the contract to build these stations was one of the highest ever given out. The Rochor Canal, formerly visible at ground level between Sungei Road and Rochor Canal Road, was diverted to flow underground. and expanded to increase its capacity. 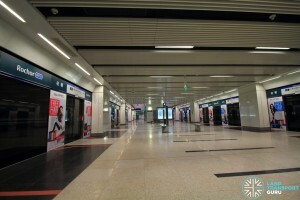 A 180-metre long, 40-metre wide and 8-metre high tunnel box was also built as part of advance works for the North-South Expressway, and underneath that, the concourse and platforms of Rochor station. All this had to be built in marine clay, at times having the consistency of peanut butter, and as such, infrastructure had to be stabilized firmly into the ground. A Straits Times graphic is attached here.